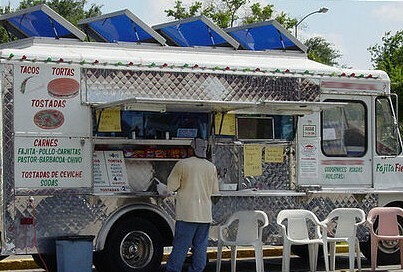 We provide commercial (vehicle) insurance for catering truck owners and operators in California and Colorado. We do not provide insurance for food caterers, event caterers, etc. Catering trucks have special insurance needs. Normal commercial vehicles don't offer food (pre-prepared or cooked to order), hot and cold liquids, and retail sales to the public. You have special risks, such open flames and fuel to prepare or keep food warm, and the liabilities associated with selling food. Therefore, many insurance agencies don't know how to write the specialized coverage you need to give you the proper legal protection in the event you have an accident, a theft, or are sued. The Jorene Mize Insurance Agency has worked with catering truck owners on these types of insurance policies for more than 10 years, and is willing and able to meet your needs, whether you run a single truck at one place or in several places each day, or whether you manage a large fleet of catering vehicles spanning wide territories.